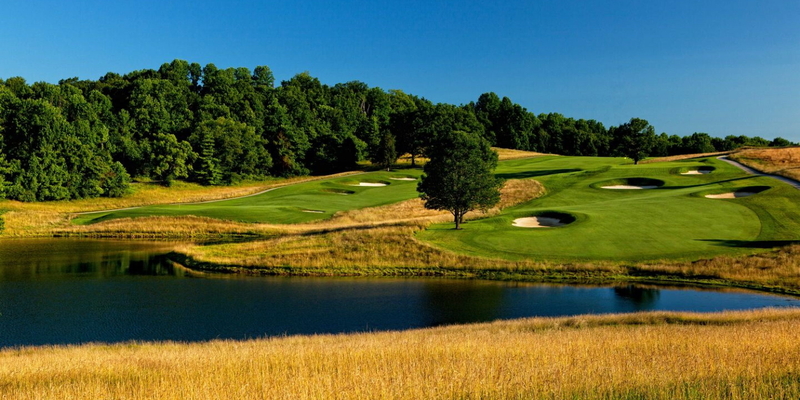 Test your game on the Donald Ross Course at French Lick. Originally constructed in 1917 by world-renowned architect Donald Ross, the legendary course has been home to many regional and national tournaments including the 1924 PGA Championship, won by Walter Hagen. Ross is revered for his links-type courses with deep green-side bunkers and severely undulating greens. 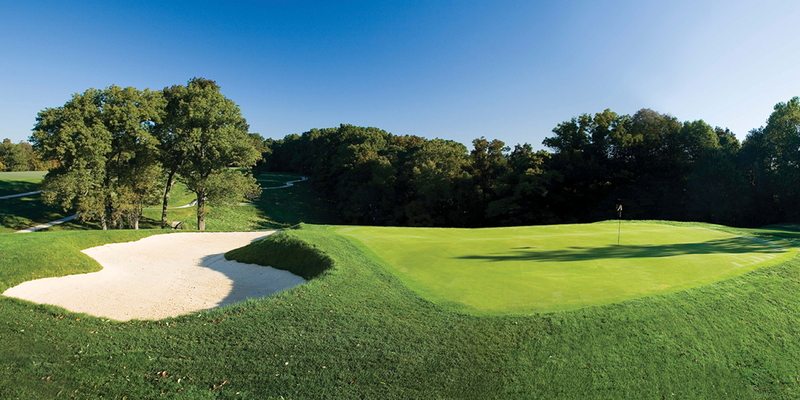 The course has experienced an incredible $4.7 million transformation in collaboration with the Donald Ross Society. IN-145 North to French Lick. Click here for a downloadable map! From Indianapolis - 108 Miles - 2 1/2 Hours: SR-37 South to Paoli, to SR-56 West - 10 miles to French Lick. From Cincinnati - 142 Miles - 3 Hours: Option A. I-71 to Carrollton - Ky SR-36 to Milton over bridge to Madison - to SR-56 West through Paoli to French Lick. Option B. I-71 to Louisville - to I-64 West to SR-37 North / IN-145 (Tell City-exit 79), Continue to follow IN-145 North to French Lick. From Evansville - 90 Miles - 2 Hours: I-64 East to SR 37 North / IN-145 (Tell City-exit 79), Continue to follow IN-145 North to French Lick. From Chicago - 275 Miles - 5 Hours: I-90 Southeast to I-65 South, to I-465 South & West at Indianapolis. Take SR-37 South to Paoli to SR-56 West - 10 miles to French Lick. From Cleveland - 390 Miles - 7 Hours: Option A. I-71 to Carrollton - IN, KY. SR-56 to Milton over bridge to Madison to SR-56 West through Paoli to French Lick. Option B. I-71 South to Louisville - to I-64 West to SR-37 North / IN-145 (Tell City-exit 79), Continue to follow IN-145 North to French Lick. From Detroit: 397 Miles - 6 1/2 Hours: I-94 West to I-69 South near Battle Creek to I-465, South and East around Indianapolis to SR-37 South to Paoli - to SR-56 West - 10 Miles to French Lick. From Nashville - 240 Miles - 4 1/2 Hours: I-65 North to Louisville to I-264 West to I-64 West to SR-37 North / IN-145 (Tell City-exit 79), Continue to follow IN-145 North to French Lick. From St. Louis - 208 Miles - 4 Hours: I-64 East to SR 37 North / IN-145 (Tell City-exit 79), Continue to follow IN-145 North to French Lick. 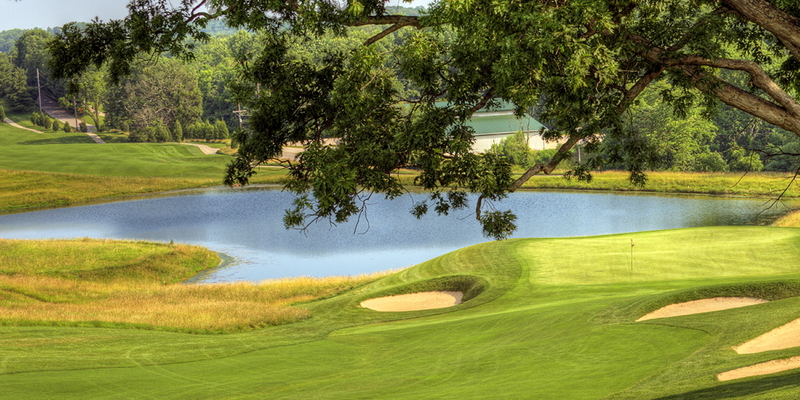 Tee times call 888-936-9360 or 812-936-9300 ext. 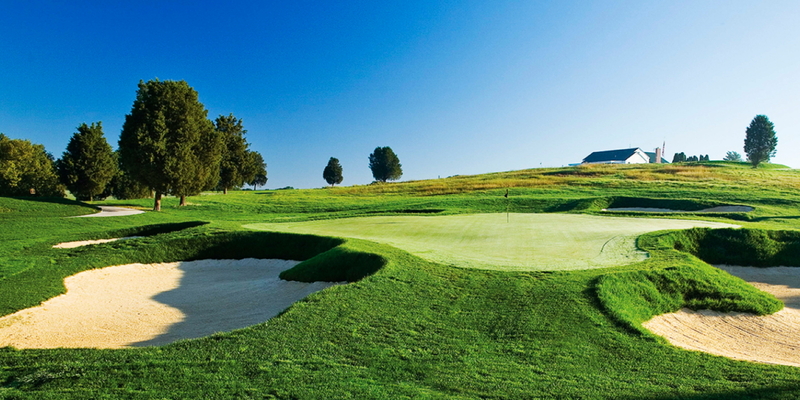 7215 Rates are based on 18 holes of golf. Nine hole rates unavailable. Course rates subject to change at Resort's discretion. 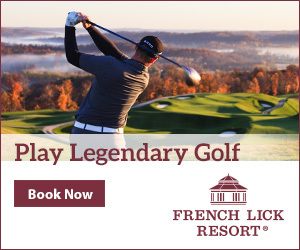 Contact The Donald Ross Course at French Lick Resort at 812-936-9300 for more information and details on holding a golf outing at the course. This profile was last updated on 12/30/2018 and has been viewed 33,303 times.